Collaboration software vendor Open-Xchange has received a $20 million investment that it will use to expand its development team to speed up feature rollouts for its Web-based office suite, the company announced on Thursday. The biggest chunk of the money will go into the expansion of the engineering department, said Rafael Laguna, CEO of Open-Xchange. The office development team, which now consists of 15 people, will be doubled in the next 12 months or so, he said. 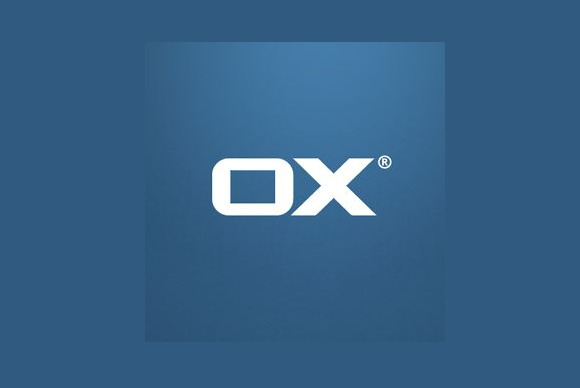 Open-Xchange started rolling out a browser-based productivity suite called OX Documents in March. Thus far the company has launched OX Text, an in-browser word processing tool with editing capabilities for Microsoft Word .docx files as well as OpenOffice.org and LibreOffice .odt files. The application was developed by a team of former OpenOffice developers who are now concentrating on new features, Laguna said. A spreadsheet program will be added by the end of this year and a presentation program should follow in the second quarter of 2014, Laguna said. "And then you will see new releases coming up more quickly," he said, adding that he couldn't discuss all the planned features. The first release of the programs in the suite focus on providing key features that allow users to edit any Word or Excel document without Open-Xchange breaking anything, Laguna said. The idea is that users can use Open-Xchange in the cloud to work on documents that were created with their usual document editor, he said. "We are not converting the document. We do not expect anyone to exclusively use our office suite for their work," he said, though he added that he does think that Open-Xchange is the best tool for many tasks. For long documents with 500 pages or so with lots of footnotes and cross referencing however, it's better to use a text editor like Microsoft Office to create the original, Laguna said. "When you're done, you can do minor edits and go back to our tool," he said. Documents can also be edited on smartphones using Open-Xchange's office suite, said Laguna. Open-Xchange plans to offer features that avoid the process of having to download a document, edit and mail it back to the sender, creating several copies of the same document, Laguna said. In the next Open-Xchange release, users can click on "edit" when they receive a document attached to an email. Users will then be able to edit the document inside the email and hit reply from within the OX Text component, Laguna said. Then a link is sent back, which the recipient can click on to continue editing without downloading the document, or choose to download the document, he said. Open-Xchange currently only has 75 customers, which are mainly service providers, but has a total of 80 million end users of which the company estimates that 35 million are active users. "What the service provider needs is good software with a lot of functions," so they can compete with similar offerings, said Laguna. In addition to investing in a stronger engineering team, Open-Xchange also plans to invest the money in marketing, Laguna said. The company wants to attract a more diverse customer base, for instance by marketing its service to carriers, he said.